For use against rats & mice, in and around buildings. 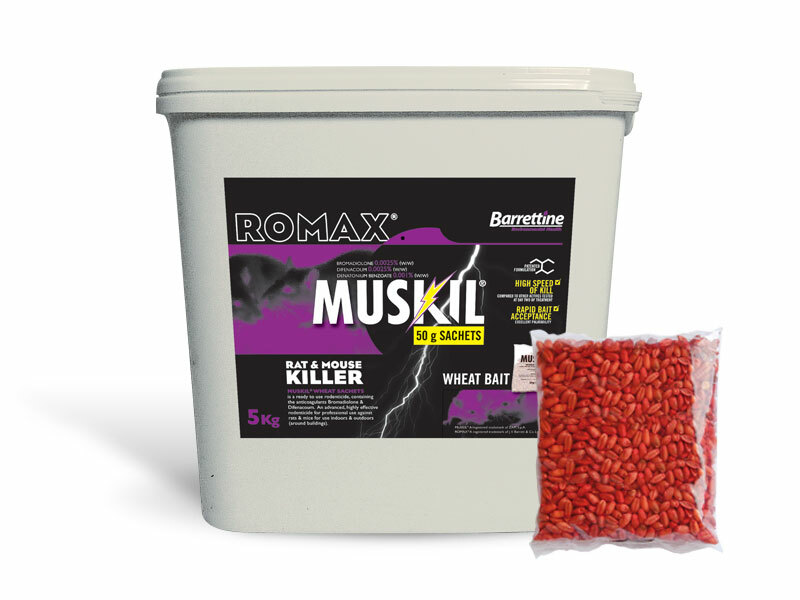 Romax® Muskil® 50 g sachets are formulated using high quality food grade whole wheat, blended with feeding enhancers to improve palatability. The active ingredients are applied using Special Absorption Technology and the wheat is treated to prevent germination which increases the quality life of the product without affecting its palatability. Safety - Contains denatonium benzoate.